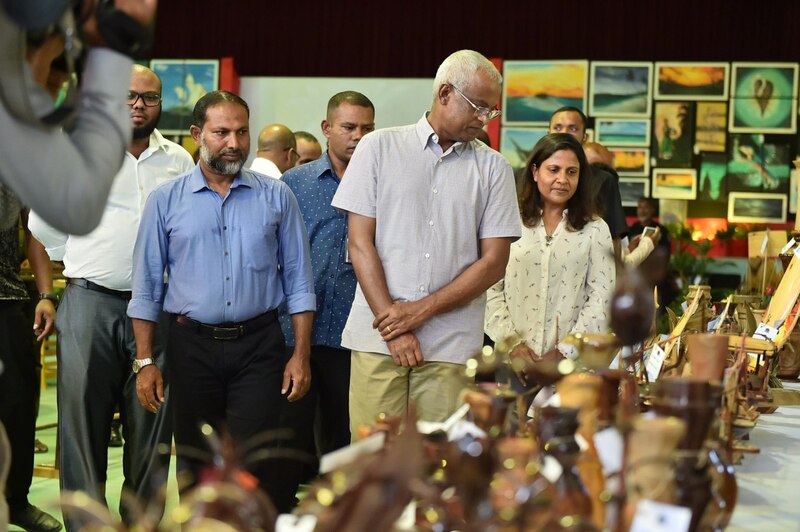 President Ibrahim Mohamed Solih and First Lady Fazna Ahmed inaugurated “Kamaakemi” the Inmates Creativity Fair 2019. The function was held this evening at the K. Maafuhsi School. The Fair was organised by Maldives Correctional Service (MCS) to showcase the talent and crafts of inmates. 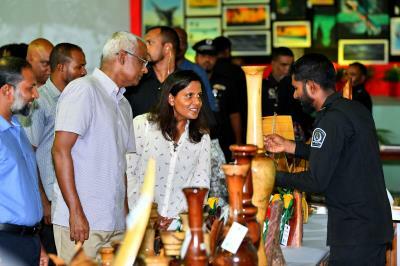 At the exhibition, the President and First Lady toured and watched the displays of art by the Inmates. At the event, the President received a special gift from Maldives Correctional Service.